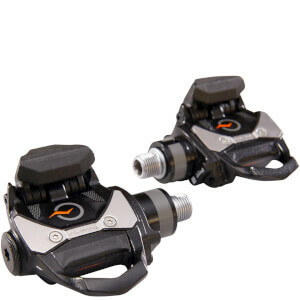 Built to be just as robust and just as precise as its world-renowned sibling, the PowerTap Single-Sided Pedal has all the innovation of the P1 pedals – at a fraction of the price. Named for its single-sided nature, the PowerTap Single-Sided Pedal doubles the watts produced by the left pedal to calculate total power. The PowerTap Single-Sided Pedal also touts the same plug-and-play installation, easy-to-swap, cross-bike compatibility, along with dual-band ANT+ and Bluetooth as its bi-lateral counterpart. 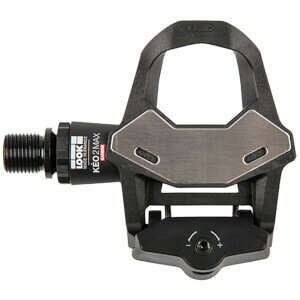 Ideal for the bike enthusiast, the weekend warrior or the power-training curious, there is no better way to get started with accurate pedal-based power than the PowerTap Single-Sided Pedal. An affordable way to measure power at the pedals. Doubles left pedal measurement to calculate total power. Easily swap between bikes for a vast range of compatibility. Battery: AAA Lithium - use only lithium batteries with the P1 pedals. Alkaline batteries could damage the pedals, and damage caused by batteries is not covered under warranty. PowerTap Single-Sided Pedals are not capable of providing advanced pedal metric data. In order to display advanced pedal metric data you must be using dual sided P1 pedals. Easy installation through pedals is great for swapping between bikes in minutes, and connection has been reliable. These pedals are great now discounted. Really transform racing when you know your power numbers. Just bought the single sided option and works perfect for me. Dont see the need for dual side. Super easy to install and connect to the Garmin, no signal drops and they connect almost instantly. Excellent. Very easy to use. PowerTap has been in the power meter market for a long time. They get it. I bought them as I needed to replace a set of pedals on my main road bike and I wanted a power meter. I can switch the pedals in under 2 minutes. No issues pairing with Garmin. Highly recommend these pedals. You will not be disappointed. 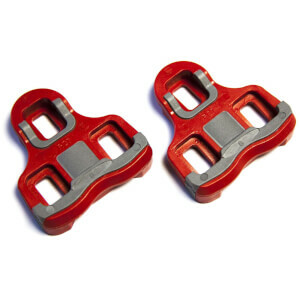 I bought this pedal set as a gift for my wife who is an accomplished tri-athlete and iron-woman. She loves the pedals. They are really bringing her training up a notch. Very pretty. Very easy to set up. She changes them between bikes with ease. Great product. First time purchaser from this website. The deal was too true to believe, could not come close to matching it anywhere! I pulled the triggered, received product within advertised time frame. This is a brand new, not refurbished product. Works perfectly. Easy 2 minute install. The PS1 Pedal are a good affordable Power Meter. I've been using them for a few month now and have no problems They pair quickly to my head unit and to my PC for indoor training. Power reading are accurate and reliable. My only complaint are the cleats, they don't have any rubber so walking on them is a bit slippery on tiles, Totally recommend the pedals anyways. After doing a lot of research into the powermeter market, I decided the pedals were the way to go for me. The Powertap pedals were so easy to put on and then to link up with my computer and also Zwift was really easy. Getting great data from my first couple of rides, and recommend the Powertap pedals as a great first step into powermeters. My first power meter, i figured i would get something that is reliable (powertap) easy to install and swap between bikes, they were also kind of affordable at the time. Since i'm a minimalist when it comes to gear, i pair it with an edge 500 unit, setup has worked flawlessly since installation. There's virtually no signal drops in 8000 km of use, they do what they're supposed to do. Just calibrate before the ride and it works, period. Some people have experienced issues with loose axles, it has not been the case for me, i even knocked the left pedal at high speed on a loose chunk of pavement and it hasn't affected its functions. I use rechargeable eneloop pro batteries (be careful to use correct batteries as some could create problems!). Powertap reports 60 hours for battery life, with the eneloops i get close to 72 hours so two thumbs up. Swapping batteries is done with an hex wrench and no flimsy cover. Of course they were pricey at time of purchase but still a great deal on PBK and even better deal as i'm writing this ;).